I’m going to pat myself on the back and apologize profusely within the same article. The apology is going to come first, however. You see, back in March I made annual picks of where each team would fall within their respective divisions. I also went on to write a couple of profiles on particular teams that I thought A.) could surprise some people and B.) needed a different direction altogether. I’m sorry for ever doubting you Baltimore; you have a two-year “don’t screw with us” pass on the this blog. Well you can dream of a lot more than that good citizens. 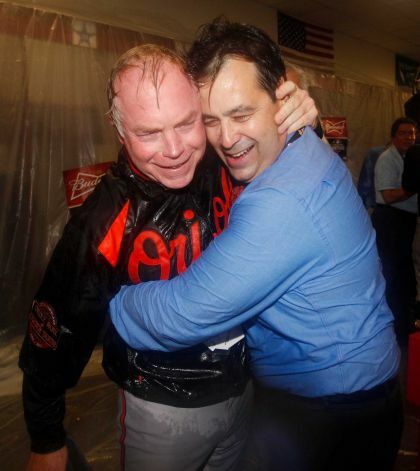 Buck Showalter not only got my vote for Manager of the Year in the American League, but he should be given any number of extensions he wants on top of that. Today at five he takes his Orioles into battle against the division rival New York Yankees with a spot in the American League Championship Series. Here’s a team that most (myself included) wrote off before last October ended. This team came a game from winning the American League East in stunning fashion. How bad was I at recognizing just how good this team was? I whacked them not once in my early season power rankings but twice; and I was a big ol’ jerk about it too. To not put myself on blast and recognize that this team had a remarkable season under a remarkable manager and general management would absolutely foolish on my part. The young guys stepped up, the veterans provided depth, and some who had previously under achieved showed why they had promise to begin with. I especially want to recognize how filthy their bullpen was this season. From top to bottom this group was as good as it gets from the sixth inning on. Who else had the Athletics? C’mon guys! Now remember when I said I was going to pat myself on the back as well? 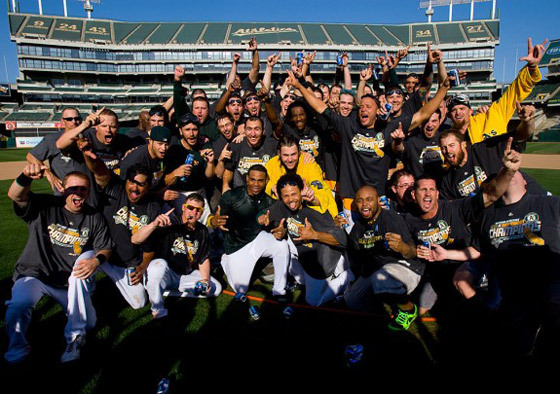 Here we are a day after the Oakland Athletics and people are still coming down off of the euphoria. “Where did this team come from?” people wondered. I believe I even heard the word “improbable” describe their run to the American League West championship on the final day of the regular season. I saw what they had in Cespedes and Reddick. They had even more in Gomes, Moss, Crisp and four rookies anchoring their starting rotation. Grant Balfour pitched like a man on a mission in that closer’s role and I’ll be darned if Doug Melvin didn’t do just as masterful of a job as any manager in baseball this season. I saw this club as a contender for the Wild Card who could make serious hay in the playoffs. I didn’t see them besting the Rangers for the division and being an ace away (how badly did that Bartolo Colon news hurt them?) from beating Justin Verlander, the Detroit Tigers, and awaiting the winner of today’s game. I like where the club is positioned for 2013 as well; because not only did those rookies win 64 games and produce the ninth best earned run average (in baseball), but the bullpen (30 wins, 47 saves, 2.94 ERA, 1.17 WHIP) was fourth best in all of baseball. That’s the beauty of this game. No “shot clock” or clock at all and when a team gets hot, it is probably the most fun day-in-and-day-out. I completely whiffed on one of the best teams in baseball, but was spot on with another one. That’s why they play, folks. Previous Post “Locker Talk” Podcast Episode 3!